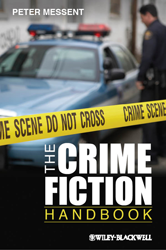 The Crime Fiction Handbook presents a comprehensive introduction to the origins, development, and cultural significance of the crime fiction genre, focusing mainly on American British, and Scandinavian texts. Provides an accessible and well-written introduction to the genre of crime fiction Moves with ease between a general overview of the genre and useful theoretical approaches. Includes a close analysis of the key texts in the crime fiction tradition Identifies what makes crime fiction of such cultural importance and illuminates the social and political anxieties at its heart. Shows the similarities and differences between British, American, and Scandinavian crime fiction traditions.